I know that Christmas isn't over yet but I've already started thinking about our garden for 2016. I have grand plans to create an outdoor office in 2016 and hope to add lots of colour to our outdoor space which is currently very green and brown! Re-creating the famed gardens of stately homes and National Trust treasures without a fleet of gardeners and experts might seem like an impossible task, but small, authentic replicas are possible with a spot of research and hard work on fabulous flowers such as patio roses. Here are five great gardens that you can truly bring home. First of all, build an authentic Elizabethan tower that could also act as a prisoner-of-war camp in your garden. If this is not possible, then don’t despair, as recreating the constituent parts of this spectacular work will more than make up for the lack of military buildings. The National Trust recognised the value of this fantastic 460-acre location when it took over its administration in 1967, upholding the memory of its last private owner Vita Sackville-West. The various familiar herbs found in the famous herb garden such as thyme are easily purchased (although less easily maintained) while a full description of the work behind the beloved White Garden and ways to create a cut-down version can be found in this Guardian piece. These gardens in Essex celebrated their 55th birthday in 2015, when they were turned from seemingly inhospitable soil marshland into a delightful blend of woodland, alpine planting, and others, to comprise the Gravel Garden, Woodland Garden, Water Garden, Long Shady Walk, Reservoir Garden and Scree Garden. There’s a very simple way to locate the particular plants from this magnificently-manicured project; visit the official website and buy the lavenders, ‘chameleons’, geraniums and many more on sale. The rest is up to you. The gardens of this stately home in Kettering, Northamptonshire, are not particularly unusual in terms of floral variety or beauty. But what they lack in aesthetics is more than made up for in the unique and thoroughly modern shape. Perhaps the sheer scale of this project may be beyond you, but smaller pyramid-type shapes are certainly possible with a clever bit of digging and re-seeding. Growing the actual yews and hollies of this fantastic garden in Cumbria is the easy part; trimming them into shapes such as King and Queen, the Judge's Wig, the Howard Lion, the Great Umbrellas, and Queen Elizabeth and her Maids of Honour, is a touch more difficult. The only way to get anywhere near the level of skill required to replicate these topiary treasures is practice, plus a pair of petrol clippers and possibly a hydraulic lift. However the parterre, composed of Pansies, Violas, Polyanthus and many more, might be a simpler task. This museum/garden combination is part of Tate St Ives, and comprises a huge range of the renowned artist’s modernism work dating back to the 1930s through to the 1970s. Many of the works, such as spring (1966) and Model for Meridian (1958) were specifically created by Dame Barbara for the great outdoors, and the gardens are a delight for people of all ages. 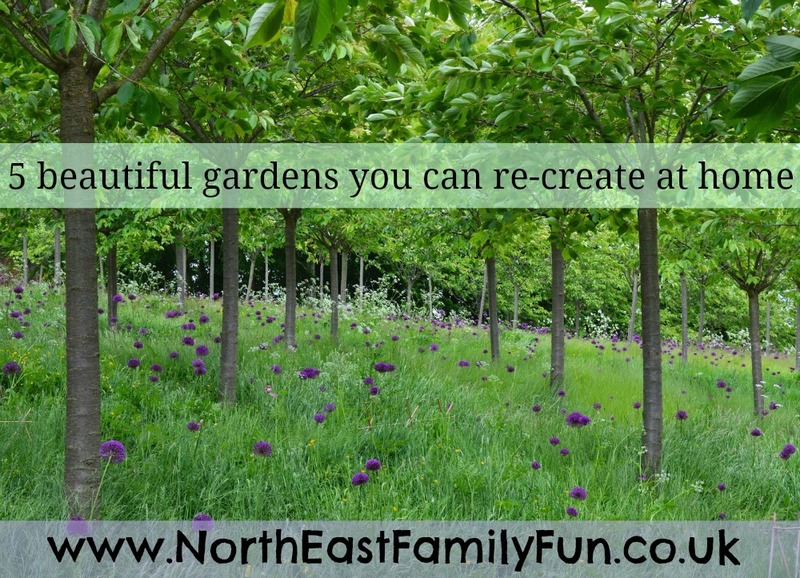 An identical recreation is largely impossible, but a keen eye for interesting art (and possibly a mobile loaded with pictures of your garden so you can imagine how a piece will look before you buy) might bring forth an interesting comparison. 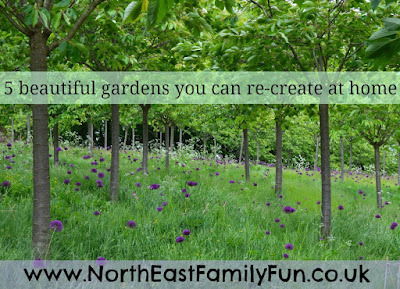 Are there any gardens near where you live that you would like to re-create at home? If I won the lottery I would love to re-create the magnificent Grande Cascade at Alnwick garden......we can all dream can't we.